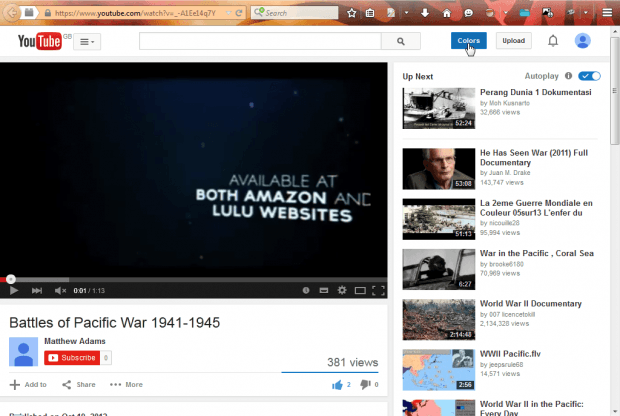 There are various add-ons that you can customize YouTube with. This post  covered how you can add theater effects to YouTube with Cinetonic. With the Easy YouTube Theme Maker, Easy,Fast And Simple add-on you can customize the YouTube page colors. 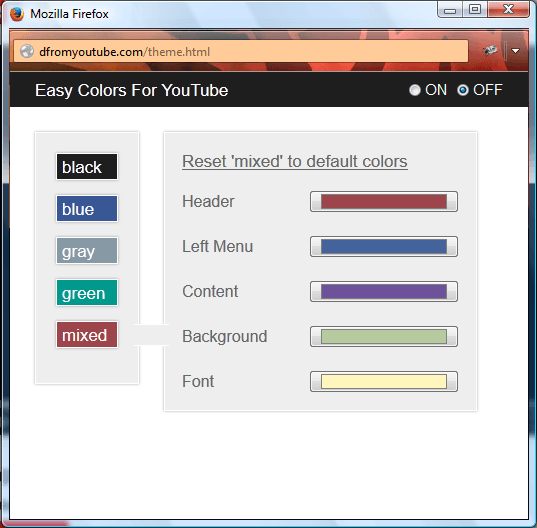 Open this Mozilla page  to add Easy YouTube Theme Maker, Easy,Fast And Simple to Firefox. Once installed, open a YouTube video page such as this one . It should include a Colors button as shown below. Now press the Colors button to open the window below. That window already includes five themes to select from. Click on the color buttons to switch between the themes. 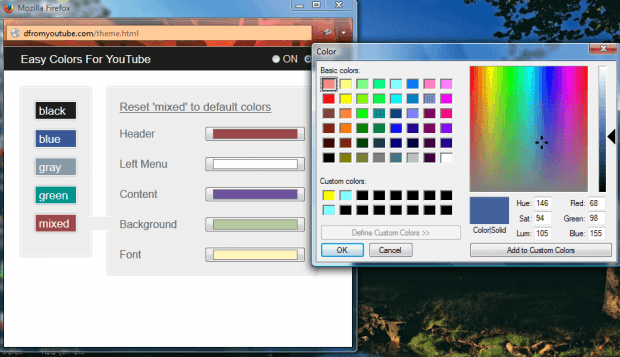 Of course, you can customize the colors of any of the themes. You can click on five buttons to adjust the colors for the page header, left menu, content, background and font. Click on one of the color boxes to open the palette as below. When you’re done, close the add-on’s window. The YouTube page will then have an alternative color scheme. You can switch back to the default YouTube page by pressing the Off radio button at the top right of the add-on window. So this add-on gives you another great way to customize YouTube. 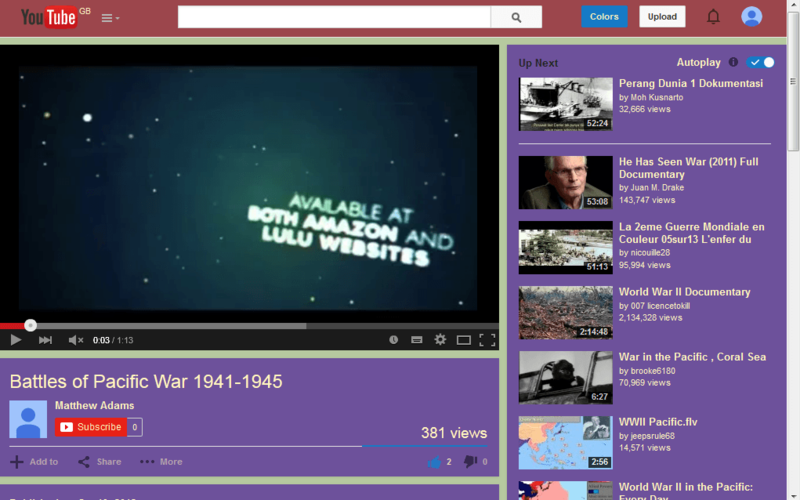 With the add-on you can now quickly adjust the color scheme of the YouTube pages!